Publisher: Department for Production Engineering, Faculty of Technical Sciences, Novi Sad, Serbia. 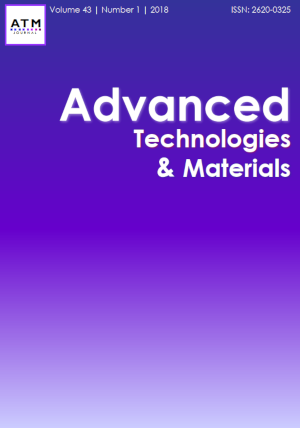 Journal of Advanced Technologies and Materials (formerly Journal for Technology of Plasticity http://www.dpm.ftn.uns.ac.rs/JTP) is an open access, peer-reviewed technical journal that has been published for 42 years. Long tradition and quality of published papers provide the journal an important role in the scientific world and made it recognizable by wide both academic and engineering community.